PlayTech are one of the largest online gambling companies, supplying casino, poker, bingo and sports betting software to a number of the top names within the gambling industry. The company is particularly renowned for their range of slots, with a big range of themes and rewards available. 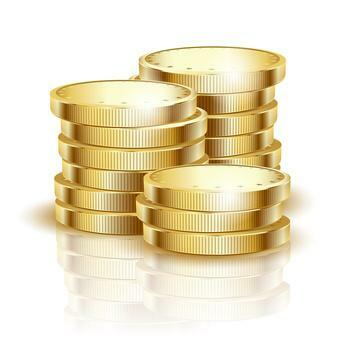 A number of these slots will also offer large Jackpots – some of these Jackpot amounts being life changing! In this guide I start by detailing the biggest Jackpot amounts you’ll find at a casino using the playTech range of games. I go on to explain the different ways you’ll be able to win these Jackpot amounts, and examine how some slots are linked to others. I finish with a recommendation of both my own favourite Jackpot game as well as a casino where you’ll be able to enjoy the games. The best known jackpot slots by PlayTech are the Marvel range. These are amazing games, using video clips, 3D bonus rounds and innovative in-reel features. They tie in with the latest movie releases too. These games are covered extensively in this dedicated Marvel Jackpot Slots article, so I have not repeated this here. I do recommend that these are on your list of games to check out though. The games with the top Jackpot prizes will vary on any given day, so in writing this guide I’ve used the average Jackpot payout for the games when considering the biggest games, as opposed to the Jackpots available at time of writing. 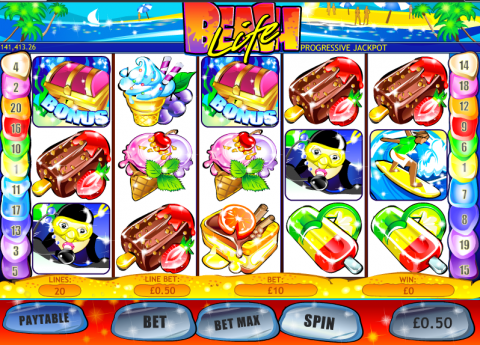 The game which offers the largest Jackpot amount on PlayTech is ‘Beach Life’ with the average amount paid out on this slot being just short of £2 million – the largest amount of money won on this slot being in excess of an amazing £5 million. Funky Fruits is the next on the list with payouts with the average win approaching £1.5 million, the Gladiator slot averaging almost a million pounds – although the highest ever payout on the Gladiator slot does exceed Funky Fruits. The other slots which offer average wins in the half a million or more range are the Spamalot Holy Grail, Gold Rally and the Sweet Rally slots. You’ll also find a Jackpot of this size when winning the Marvel Ultimate Power jackpot. How are PlayTech Jackpots Won? Jackpot awards can be won in two ways. The first way is by the outcome of an actual spin of the slot. For example, the JackPot in ‘Beach Life’ is awarded if landing the wild symbol across all 5 reels of line 20. Other slots will offer you entry into the Jackpot game when you’ve hit certain conditions in a bonus round – the Spamalat Holy Grail Jackpot game being opened when landing five ‘Jackpot Game’ symbols in the free games. Other Jackpots are awarded randomly – these being more likely to be awarded to those who are playing for higher stakes. This is the case with the Marvel Jackpots. Here you’ll be taken to the Jackpot round completely randomly, whatever the outcome of a particular spin. 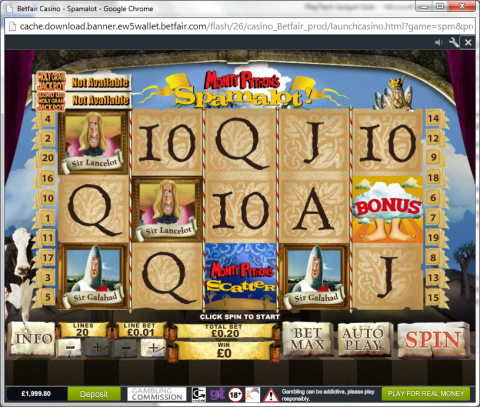 In some cases the Jackpots are linked with other slots – or even other games completely. The Marvel games in particular are linked, with a number of games featuring such games as Wolverine, the Fantastic Four and the Incredible Hulk. All the stakes for these games will contribute to the progressive bonuses (this range of games offering four separate bonuses). You’ll also be able to win the jackpots by playing Marvel Roulette. You’ll be able to enjoy the full range of impressive PlayTech slots at BetFair, the trusted UK gambling giant. As well as the full range of PlayTech slots, you'll find some surprises from other big software houses under the 'Vegas' slots listing. There is plenty to keep you entertained here, including a live-dealer (streamed) casino and a huge choice of table games (many of which have their own jackpots attached).